While start-ups are the future of business using technology, a set space for start-ups to settle down and do business is something that Sri Lanka lacks. The need for a space for start-up companies to showcase their ideas and knowledge to the people is much needed in today’s context of development. More work-spaces like the Trace Expert City in Maradana and Orion City in Dematagoda need to be set up in Sri Lanka for new start-ups to do businesses. Microsoft Sri Lanka Director for Developer Experience (DX), Wellington Perera made these comments to the Business Times in an interview recently. Mr. Wellington, a young enthusiastic and passionate individual towards technology, manages four divisions at Microsoft Sri Lanka. There are the Independent Software Vendor (ISV), Start-ups, Tech Communities and Students. Imagine Cup is one such project that Mr. Wellington has been a part of for many years in Sri Lanka to uplift and bring out the hidden talent among young students. During the interview, he noted that the younger generation is thinking out of the box and has achieved many milestones in the technology industry in the country. There are lots of raw talent and passion among youngsters and many Sri Lankan teams have achieved great heights and competed in international competitions, he added. In Sri Lanka the number of start-ups are growing at a rapid pace and it’s going to be bigger in the next five years. The tech industry is not the same as it used to be five years back, he noted. He also stated that lot more work has to be done on the ground level for students who have the passion to enter the software and tech industry in the country. Microsoft Sri Lanka has numerous projects for students aspiring to become experts in the tech industry. It is also looking for investments on 25 ISV partners in Sri Lanka. Amazing products have been built by the local ISVs, said Mr. Wellington adding that Microsoft has also supported many dying companies. Microsoft goes after its partners and provides solutions and support to build the brand. Until today Microsoft Sri Lanka has supported 34 ISVs and 85 start-ups in Sri Lanka. There is a lot of competition among software companies in Sri Lanka. By innovating new technology software companies have come a long way to strive ahead of their competitor. 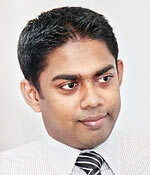 He also pointed out that it’s mostly males who join software companies or who are interested in start-ups in Sri Lanka. Only a handful of females get into the core IT or software industry, he added.